When we think about the Holocaust today, we mostly remember the victims, perpetrators, bystanders and collaborators. We should also think about those who risked their lives to protect individuals, families and groups, or even in the attempt to end the genocide altogether. Last month, to mark Holocaust Memorial Day, I attended an event at the London Central Synagogue organised in tribute to the Polish Catholic, Jan Karski, who attempted just that. After Rabbi Barry Marcus, Cantor Steven Leas and Polish Ambassador Witold Sobków had welcomed guests, Martin Smith’s short film Messenger from Poland was screened, in which Jan Karski told his own story. at the London Central Synagogue. 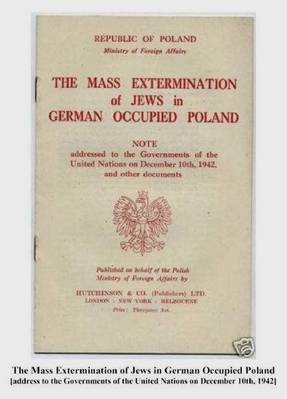 In the winter of 1943, Karski was selected by the Polish Underground State to alert the international community to the mass murder of the Polish Jews by the Nazis. The young former diplomat was already a veteran of clandestine war-work. Taken prisoner by the Russians in the early weeks of the war, Karski had been released in a prisoner exchange, thereby avoiding death in the Katyn forests. In August 1940, having escaped from a second detention, this time by the Gestapo, Karski served as an underground courier with the Polish resistance, smuggling information out of the country. Eighteen months later he was chosen to bring news of the genocide to the outside world. It was felt that his diplomatic credentials, along with the fact that he was not Jewish himself, made him a strong emissary. To give him even greater authority, Karski was smuggled into the Warsaw ghetto where he watched two boys from the Hitler Youth 'shooting mindlessly' into the miserable scene of ‘poverty, hunger and death’. Then, disguised as a Ukranian militiaman, he was taken to Izbica, a Nazi ‘sorting station’ where he watched ‘masses of Jews’ being sent to the Treblinka death camp for ‘liquidation’. Karski reached London in November 1942, where he put a simple plan to the Polish Government-in-Exile. Germany should be leafleted with details of the camps, Karski began, 'so the German nation could not say that they did not know'. The Nazi government should be directly lobbied to stop the genocide, and if they failed to do so the Allies should respond by bombing key sites in retaliation until action was taken. ‘In the name of common values’, the Pope should be called to publically intervene, calling on German Catholics to find their consciences. 'Who knows', Karski argued, perhaps if the Pope threatened to excommunicate those who did not protect the Jewish population, enough Germans might take a stand. Karski also wanted blank passports and hard currency to bribe Nazi officials, and the Polish resistance to operate a strict policy of execution for those who betrayed their Jewish neighbours. Karski’s was not the first report of mass killings to reach the West but it was one of the most detailed, an eyewitness account, and considered very reliable. But despite his testimony, the Allies remained largely indifferent to the fate of the Jews in Poland. All those who met Karski gave various reasons why nothing could be done. The Pope took six weeks to respond, and then only stated that he had already done all he could. In Britain Lord Selbourne, who met Karski in place of Churchill, told him that no political leader would comply with the idea of providing hard currency to bribe Nazi officials, which would effectively mean subsidising the enemy regime. Roosevelt ‘looked like a master of humanity’, Karski felt, but seemed more interested in the fate of Polish horses than Polish Jews, and Supreme Court Justice Felix Frankfurter, possibly the most influential Jewish man in the USA, simply said he could not believe Karski’s report. When asked if he was suggesting that Karski was lying, Frankfurter replied only that not being able to believe was not the same as doubting the reliability of the source. Karski was horrified by the lack of action, despite his reaching the highest authorities. ‘I swore to them’, he told film-maker Martin Smith at the end of his interview, ‘as long as I will live, I will speak about it’. Karski was true to his word, but Smith felt that he seemed ‘weighed down by doubt and death’. Karski died in July 2000, believing to the end, Smith told me, that he had achieved nothing. In fact his constant lobbying had helped lead to the development of the USA’s War Refugee Board, an important achievement but not the goal he had set himself. In 1982 Yad Vashem recognised Karski as one of the Righteous Among the Nations. 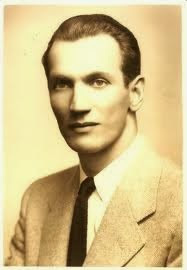 In 2012 he was honoured with the USA’s highest civilian honour, the Presidential Medal of Freedom, and this year, 2014, has been designated Jan Karski year by the Polish parliament. Film-maker Martin Smith talks with a member of the audience. Important though such recognition is, Jan Karski has been honoured as a hero too late. Over drinks after the film, I asked why Karski’s testimony had been so largely ignored. The responses were diverse. Some felt that Karski had been treated by suspicion because he was known to be a socialist. Others, that the Western powers were fearful of giving too much weight to the Jewish question when there was so much general suffering caused by the war. Certainly there was also the refusal to believe, as expressed so starkly by Felix Frankfurter. Above all, however, the feeling was that no government felt justified in diverting any resources from the ultimate goal of defeating Nazi Germany. What everyone seemed to agree, however, was that if we remain silent, then we too, in a sense, are tacit. During the Second World War, despite Karski’s unceasing meetings with journalists, authors, officials and MPs, and his own writing, the vast majority of people did not know the truth about the genocide until July 1944, when the first Nazi death camp was liberated. Those who did know had other priorities. Today the world has changed. Courageous reporters, and members of the public armed with mobile phones and internet access, have taken the place of brave couriers like Jan Karski, and there are few conflicts around the world where atrocities, state-sponsored or otherwise, go unreported. If anything people feel overwhelmed. General knowledge is not lacking, and nor perhaps is public conscience; what is lacking is clear solutions to these complex situations. What is certain, however, is the importance of constant vigilance and repeated challenges to those who abuse human rights. Perhaps the most significant lesson from Karski’s story is that without knowledge nothing can be achieved, but with knowledge comes both collective and personal responsibility.